Yarn: TFA Blue Label in various colourways. 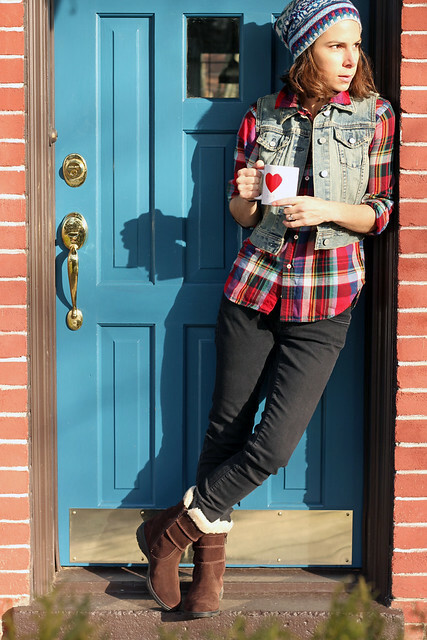 Did you know that I painted our front door this bright blue? Well, I did, and it's the best thing that has ever happened to the exterior of our house. Well, this door and the awesome Christmas lights I put up last weekend. Confession: I'm super festive. There is nothing I like more than this time of year when it's finally appropriate and acceptable to make your home all sparkly and shiny. Our house has a flat roof over the garage and I happen to think that it is a massive crime against Christmas that we don't install some sort of spectacular reindeer display on top of it. It is basically the only redeeming quality of a flat roof, we are totally wasting this great opportunity. Anyhoo. So I strung up the Christmas lights and I dressed all colourful and comfy to do it. ~ I bought those jeans when I was pregnant from this great maternity shop. They are Mavi jeans and the shop had removed the waistband and sewn an elastic waistband in it's place. After Rowan was born I brought them back and they sewed the regular waistband back on. They are stretchy and extremely comfortable and make me feel awesome for not spending a ton of money on maternity jeans. ~ That plaid shirt is Ralph Lauren size 12 year old boys. I bought the same one for my 6 year old nephew last year. It is incredibly soft and it fit me for almost all of my pregnancy. Who knew 12 year old boys were built that way!? The winter Four Seasons Hat is the one that I get the most use out of. Somehow this palette seems to go with everything. And it's up! The site is now fully updated with Cosmic Blue Label available in every single colourway, including the lovely Lucky Penny shown above. Tis the season. Happy sparkly holidays! I've got a few lovely new knits happening over here. Not quite ready for FO posts, but coming along. These projects have not been without curve balls however. That adorable little vest up there? 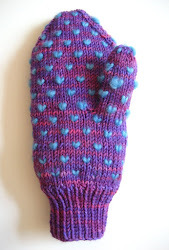 Really cute, but the colourwork pattern is a totally impractical motif. I settled on a lovely and simple gradiant pattern and then started knitting away. It was only after I divided for the front and back that I realized that the way I was going I'd have to cut the contrasting colour after every row in order to get it back to the right side of the work to start the next row. Does that make sense? Anyways, it meant that instead of a simple 2 colour project I had designed the worlds smallest vest with the most ends to weave in imaginable, about 40 or so... ridiculous. That chart will get a bit of fine tuning, I wouldn't put you knitter's through that! Then there is that beautiful skein of dk weight merino/cashmere/silk up there. Think Orange Label, only dk rather than worsted. I wanted to cast on for a Brixter and I wanted to do so immediately. I soaked the skein (it's Natural, but even the undyed yarns need a bit of TLC before they are ready to work with) and then because I am impatient I thought "hey, it's superwash, I'll just toss this soaking wet skein in the dryer in order to speed up the process." And boom! 15 minutes later that crazy, static filled, coiled up mess was waiting for me to spend the rest of the evening painstakingly winding into a workable ball. In the end, it wasn't as bad as it looks. 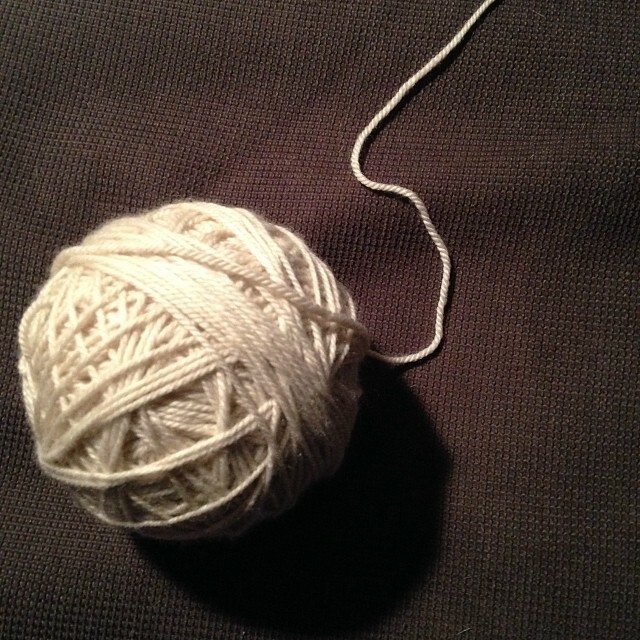 It only took about an hour and the yarn is still in perfect condition. I'm working away on my Brixter and will report back soon! If you follow me on instagram you've already seen this photo of Rowan all wrapped up in his blanket. But I just couldn't resist posting it again here. I love this shot. 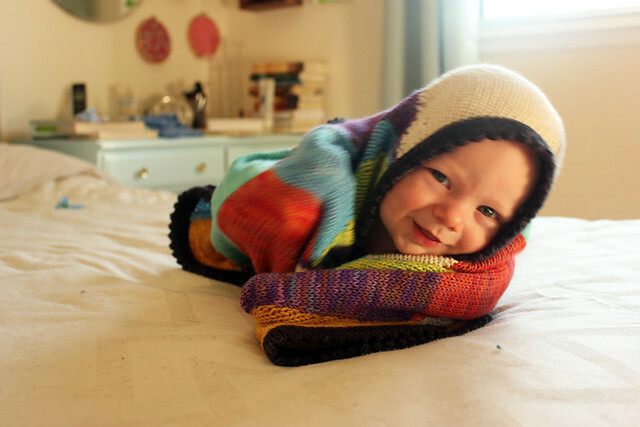 I was attempting to get some fun shots of this blanket that I designed and knit for Rowan before he was born. The pattern is just about ready, it's been test knit in an alternate colourway and looks amazing! I tried a bunch of things with Rowan and his blanket, but then he took matters into his own hands and rolled around in it and giggled. Amazing. To think, not so long ago he couldn't roll over at all, and now he's all over the place, ready to start crawling at any moment I just know it! This blanket design is part of a collection of baby boy knits that I'm working on. 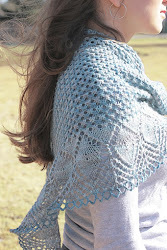 You've seen sneak peek's of some of the designs on pictures I've posted of Rowan. I'm hoping to have the collection ready early in the new year. 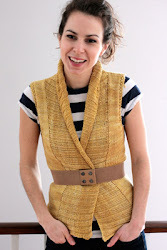 Featured Knits: Honeytree Vest and Fairview Scarf designed by me! Yarn: TFA Orange Label Cashmere/Silk Worsted and Red Label Cashmere/Silk Single, both in Gold. I love fashion, I love Friday's, I love knits and I love photography. Let's throw them all together in one blog post and see what happens! Back in the day, when I was struggling to find my calling, working in the fashion industry was something that always really appealed to me. I used to go through fashion magazines like they were best sellers - page turners! Couldn't put them down! I also really love makeup - makeup artist was another career path that I seriously considered. 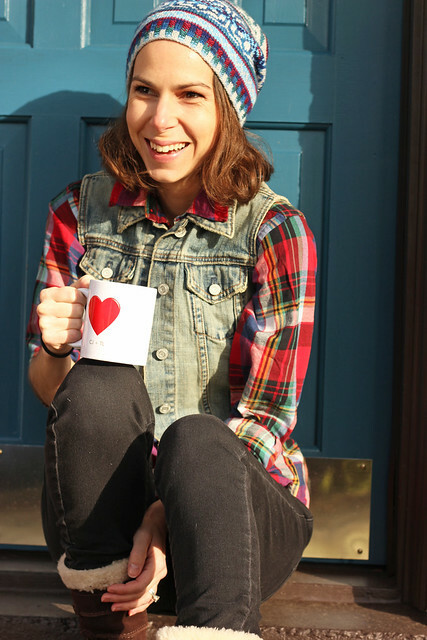 Now, I don't claim to be a super on trend fashionista, but I do wear a lot of knits, and I think that said knits deserve to be featured on the blog more than just once. So often I do an FO post and then you never see the knit again! 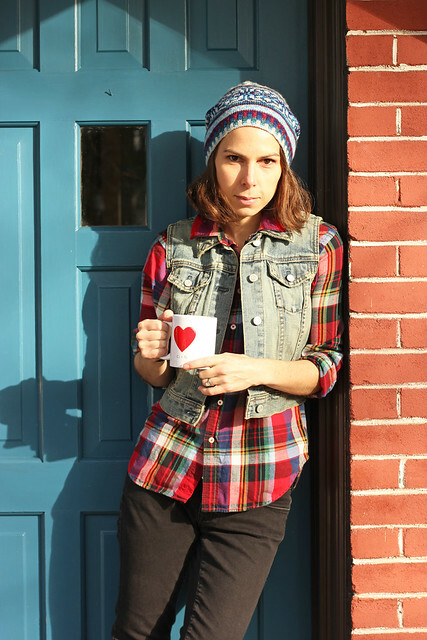 This will be a way to update you on how I'm actually living with the new knits in my life. 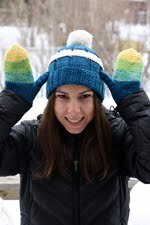 When I blog about an FO it's always all about the knit. Fashion Friday's will be my chance to show you how I actually wear the knit in real life. Sure, jeans, a t-shirt and a great cardigan is sometimes all you need, but I'm going to try and push myself to be a bit more creative. Jeans, booties, caramel jacket and gold on gold. Can we just take a moment to admire how gorgeous this photo is? The autumn light, the coat with those knits and Julie's hair colour... gorgeous! This month's Club shipment officially wraps up the 2013 Year In Colour Club - and what a year it's been! I think a proper Club wrap up post is in order, but for today let's focus on November's awesome yarn/pattern combo shall we? 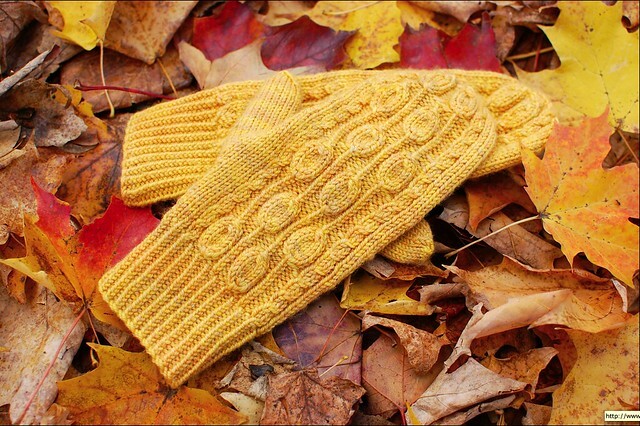 The Pemba Mitts and Headband designed by Julie Crawford to use every last yard of the November Club Colourway Saffron. 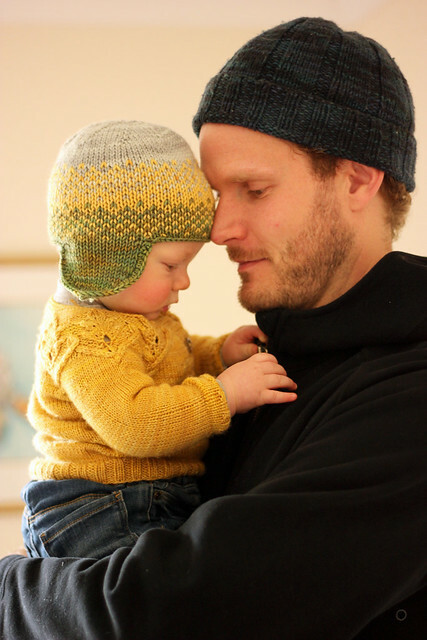 We featured Yellow Label DK Weight yarn this month, lots of yardage, lots of potential for perfect cozy accessories. 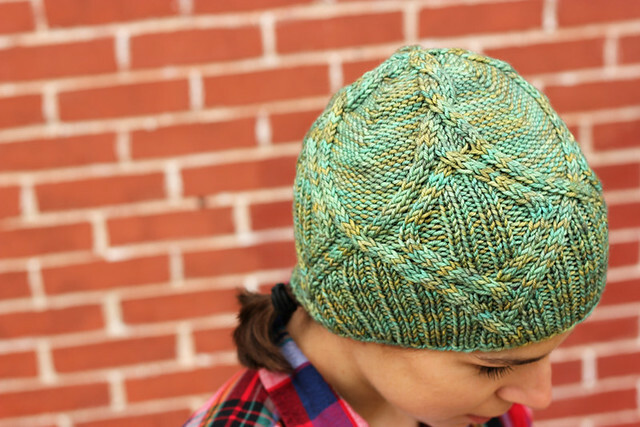 #1: yellow's are always challenging for me - but I LOVE this Saffron colourway. #2: Julie surprised me with not one, but TWO designs for this lovely skein. I mean this in the best possible way - Julie is thrifty. Not cheap, just not wasteful. I love that about her. I think that it would really irk her to design a pattern that only takes 60% of the skein - that's 40% of the yarn gone un-used! So she went the extra mile and gave us a coordinating headband so no yard of yarn gets left behind! We really hope that you've enjoyed the Club this year. We've got lots of exciting things planned for next year already, here's hoping you can join us for another year full of colour! Last week I delivered an order to my LYS Espace Tricot and while I was there I managed to snag a few goodies for myself! That's always the way, I drop in to do a bit of business and end up leaving with a little treat for myself! It's a win-win if you ask me. Pictured above are my new lovely's. They are all fabulous. Would you believe that I've never owned a real project bag? At home my projects are pretty much confined to a few baskets that I have next to my corner of the sofa, but let's be honest, most of the time my knitting is just hanging out on the coffee table all willy nilly. 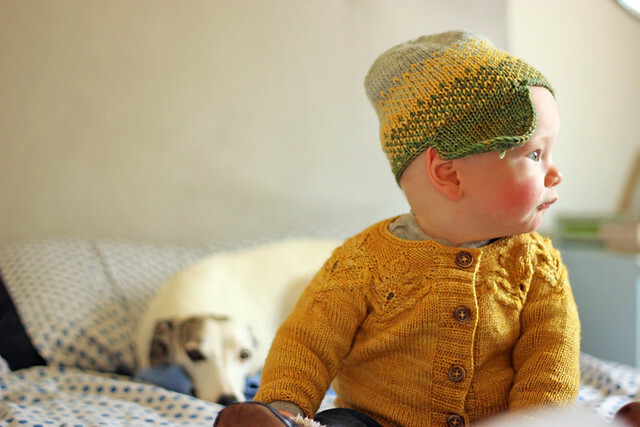 Until now I've been fine with that, but Rowan is starting to look like he could be on the move any day now and I'm getting worried for my knitting! I need a better system. Maybe keeping things safely tucked away in a project bag is the way of the future for me. I'll report back. 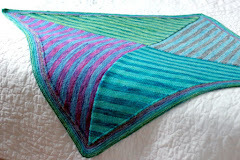 This one is from Zig Zag Stitches and I really love the colours of the fabric. I'm not 100% convinced that I love a zipper so dangerously mixed up with my knitting, but so far I haven't had any trouble with it. It's a pretty delicate little zipper. The bag is beautifully made, lined with a little pocket on the inside. Great details and made in Canada. Gotta love that! I also picked up a Lavishea lotion bar and I don't know how I ever lived without it. Oh, I remember, I had dry hands! This product lives up to it's claims of being super fast to absorb and non-greasy. It's definitely a plus if you're working with yarn or fabric, but also if you're just not into that greased up feeling. 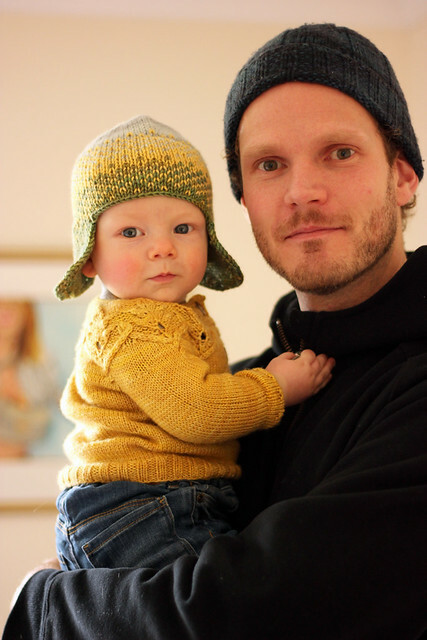 I never wear greasy, scented lotions, it just doesn't seem right with the baby so often being in my arms. This one smells great, feels great, I'll be picking up a few more the next time I'm in town. And lastly, the total impulse buy (ok, they were all impulse buys, I was just supposed to be dropping off yarn!) 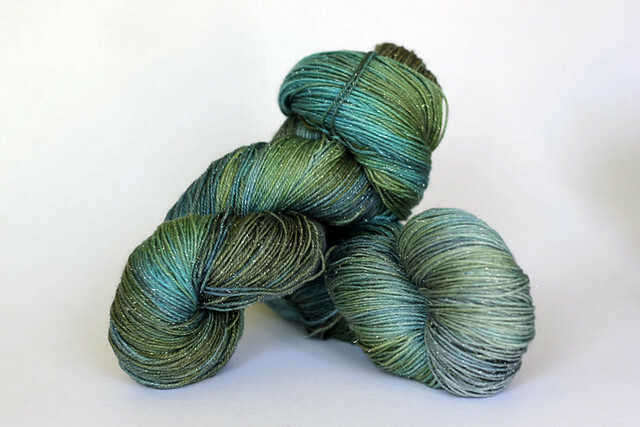 that beautiful skein of Freia Handpainted laceweight yarn in the Grapevine colourway. I have no project in mind for this yarn, I assume it will become a shawl of some sort one day, but it is lovely and I felt compelled to take it home with me. Do you use a project bag? Do you have a favourite style? Do you use them at home or only when you're out and about with your knitting in tow? 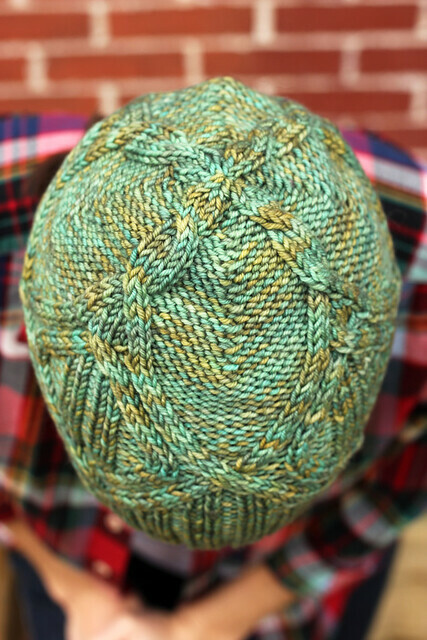 Yarn: TFA Green Label in Royal Flush. 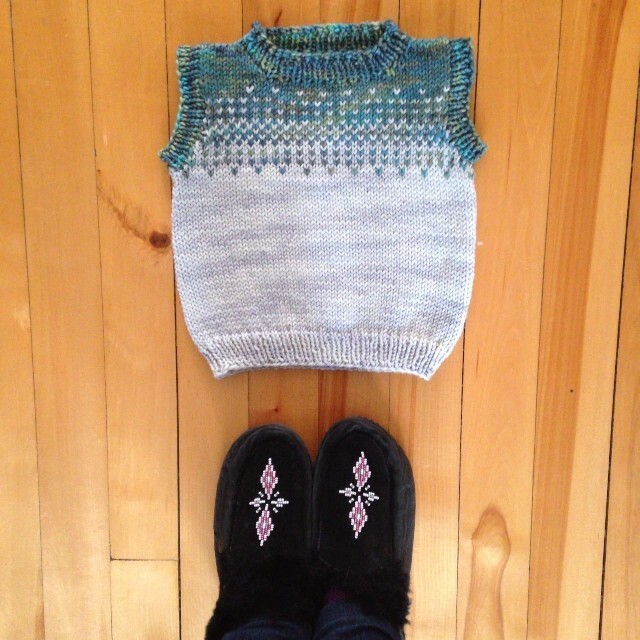 This week's TFA Tuesday is a shockingly beautiful sweater knit by one very talented knitter (check out her project page for oodles of impressive sweaters!) 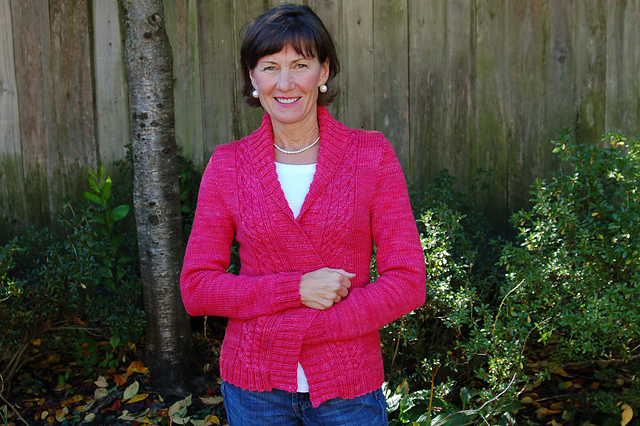 It's no secret that I love this sweater pattern, and seeing it knit up so perfectly in this bright pinky red Royal Flush colourway makes me smile from ear to ear! 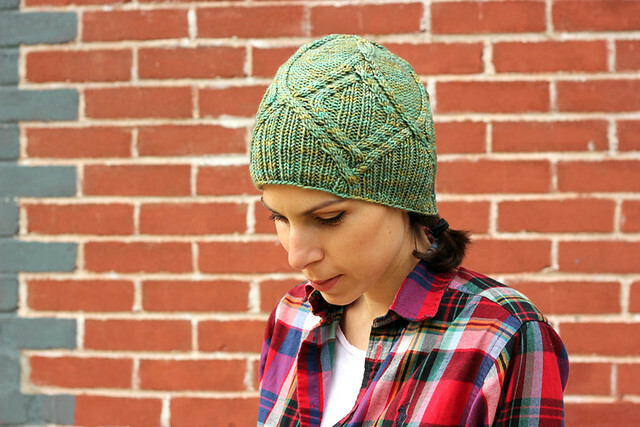 Though I am fond of the occasional neutral, I love a knitter who isn't afraid of bold colour! This sweater takes this casual cozy cardigan to a whole new level. I used to think of Royal Flush as red, but I now consider it to be decidedly pink. Warm, bright, saturated and spectacular! I love it as a pop of colour paired with any neutral. It also looks terrific against any shade of blue, like the dark navy tones in the road pictured above, or the brighter turquoise sky against the umbrellas. 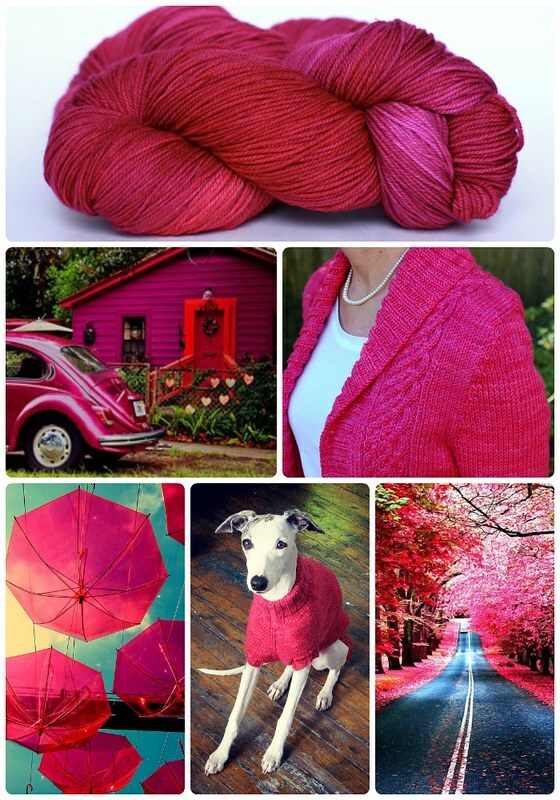 What would you knit in Royal Flush? This entry was also posted in the TFA Holiday KAL thread in my Ravelry group, if you want to skip right ahead to joining the KAL then head on over to Ravelry! How do we feel about doing another Holiday Knitting KAL this year? Last year we ran two KAL’s, one for accessories and one for gifts, and there was so much overlap that this year I say we throw them both together and call it one big Happy Holiday Accessory Knitting KAL!!! Even if you are knitting an accessory for yourself, to me that totally counts, you deserve to spoil yourself too! 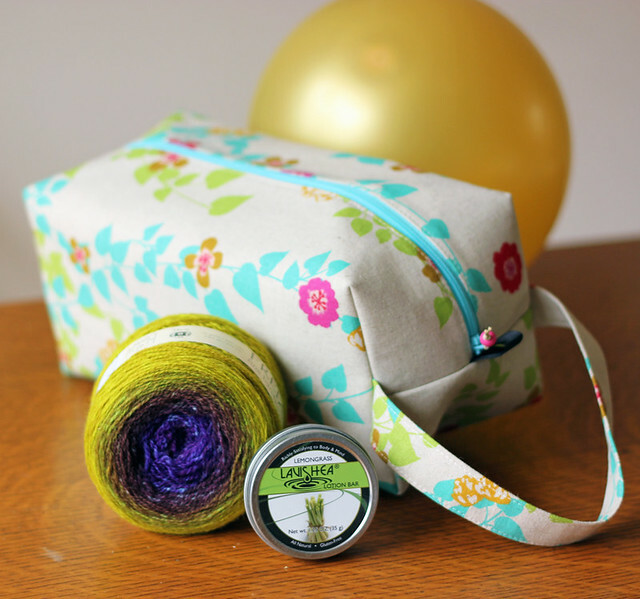 Projects must use TFA yarn to knit an accessory gift (for yourself or someone else). Bonus entry if you use a TFA pattern! There will be a draw at the end of the KAL for some special TFA goodies - 3 winners will be chosen at random. 1 entry for each FO (2 entries if you’ve chosen a TFA pattern). 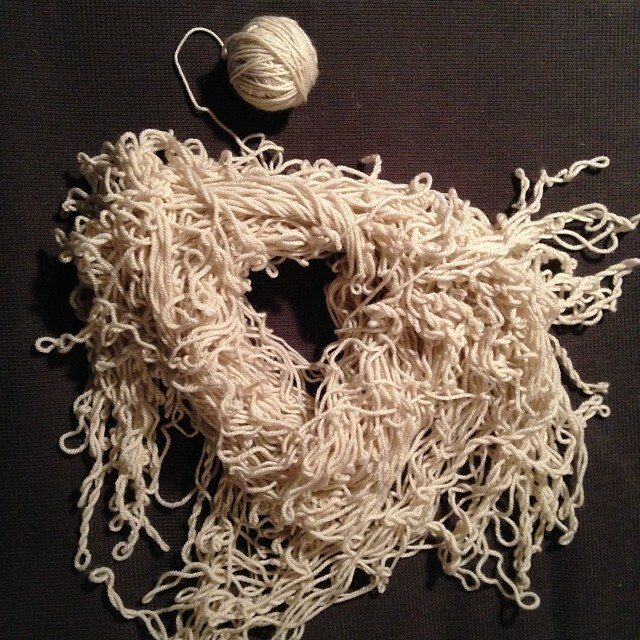 To enter the KAL post photos of your WIP’s and FO’s in the Ravelry thread and tag your project MerryTFA2013. I’ll be able to search the tag to get a view of all the projects. Feel free to use this image as your project photo until you’ve got your own WIP or FO shots to upload. This photo has nothing to do with the 2014 Club... just a pretty yarn shot! Here we are! The 2014 Year In Colour Club memberships are officially available! Click on over to the TFA Club page to read all the details and to sign up! The 2014 Club will run very much like the 2013 Club has. Members will receive a different, single skein pattern, delivered via email, designed by Julie or I and custom Club colourway every second month. 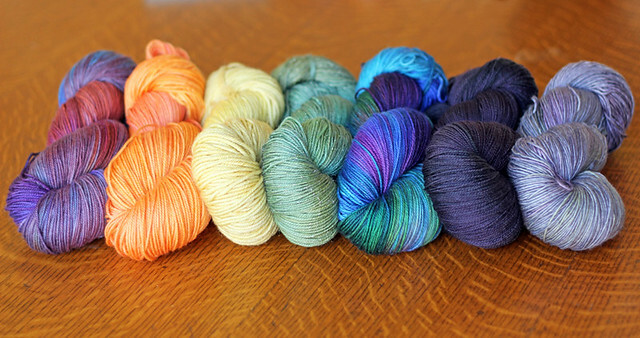 It will feature 6 different yarn bases ranging from lace weight to aran weight (not necessarily the same bases as this year) and you will get a different colour of the rainbow each month - literally, I'm going through the whole spectrum next year! The one difference from years past is that this year I have decided to offer a "patterns only" option. 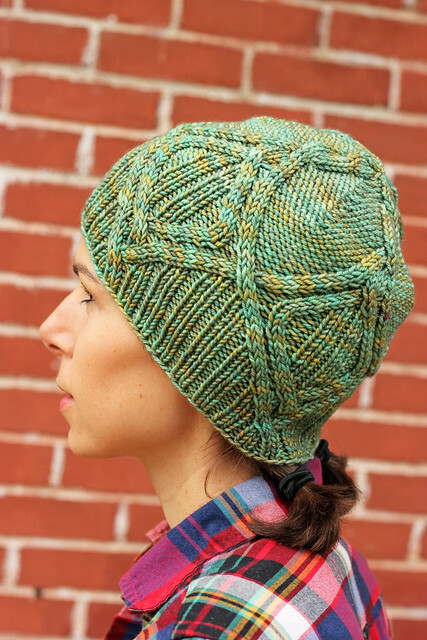 This will be a great way for knitters to join in on the fun without breaking the bank. The patterns only option is not yet available for pre-order, but when it is you'll hear it here first. 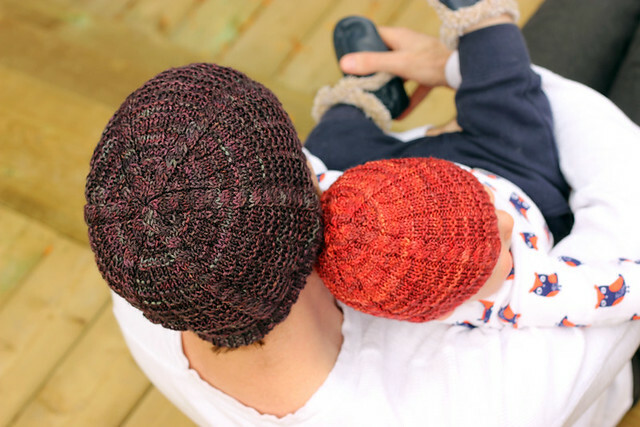 I have a new hat pattern in my Ravelry shop and I'm pleased as punch to share it with you today. 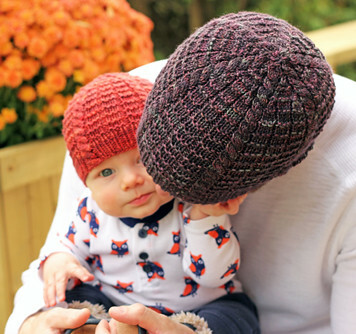 This is Brixter, a dk weight unisex beanie sized for babies and adults alike. With any luck you could probably squeeze 2 hats out of one skein of my Yellow Label DK Weight yarn. Perfect holiday knitting! Brixter has classic lines and loads of crispy-crisp texture that I love. Simple knit and purl stitches with a dash of evenly spaced cables really appeals to the symmetry loving neat freak that's hiding somewhere within me. I could put this texture on everything, but I figured I'd start with a hat and go from there! Just don't be surprised if a sweater pops up featuring this stitch pattern in the future. The best part of every hat? A perfect star on top as the decreases work neatly together. 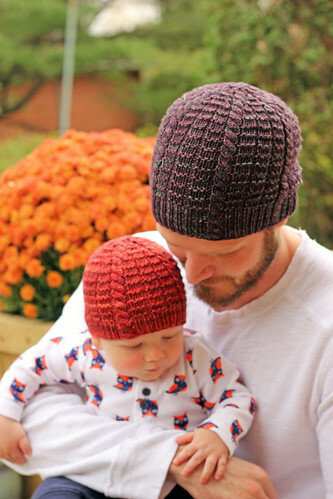 This hat comes in 2 sizes: baby (adult). 1 skein Tanis Fiber Arts Yellow Label DK Weight yarn; 100% superwash merino 115g (4oz) = 238m (260yds), sample shown in Brick and Truffle. 17 sts and 28 rounds = 3” square in pattern. 3.75mm 16” circular needle and dpns.